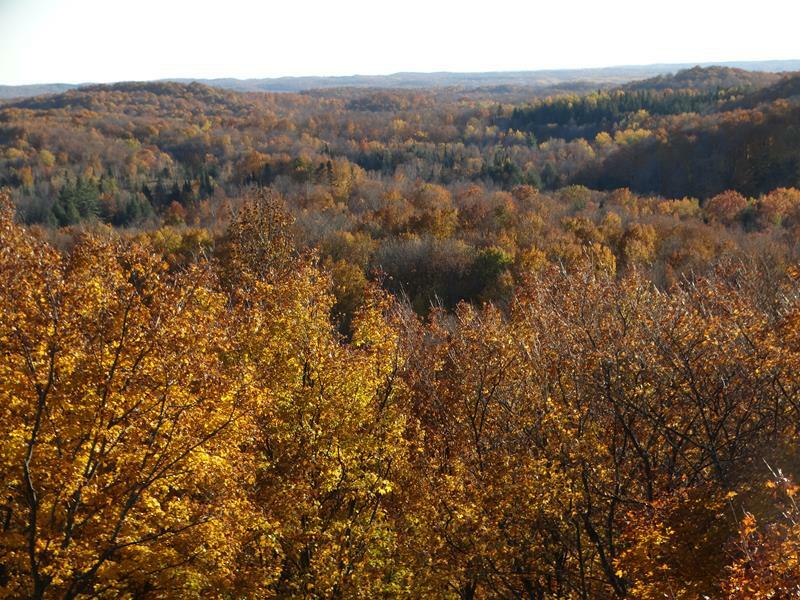 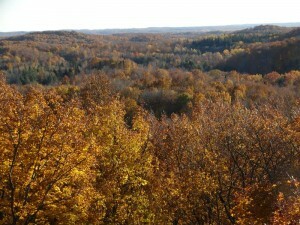 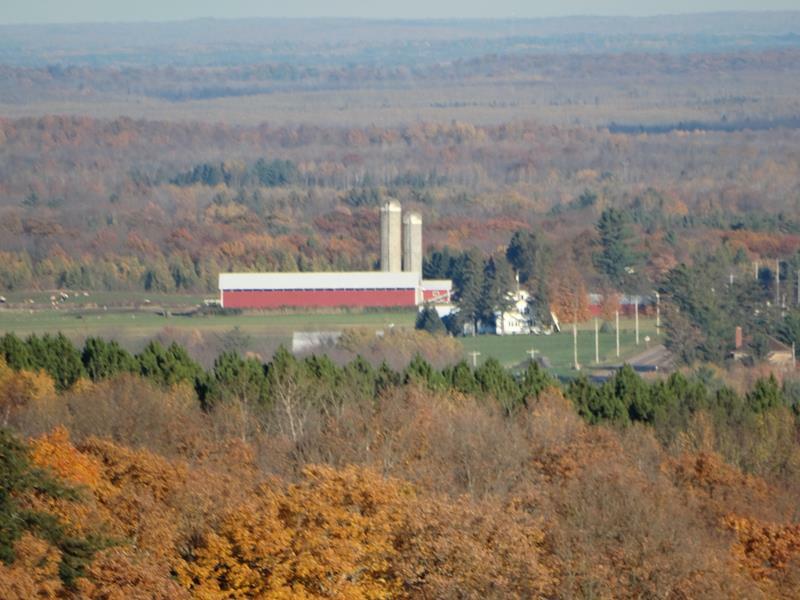 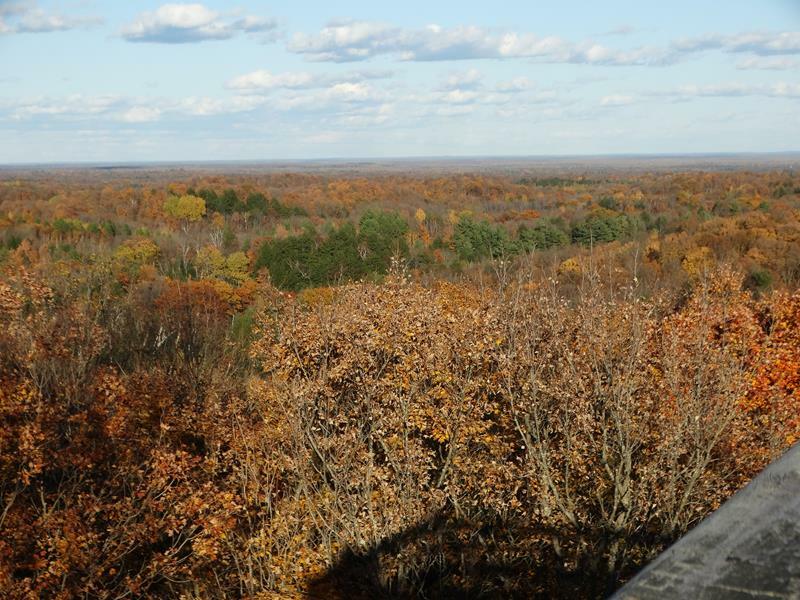 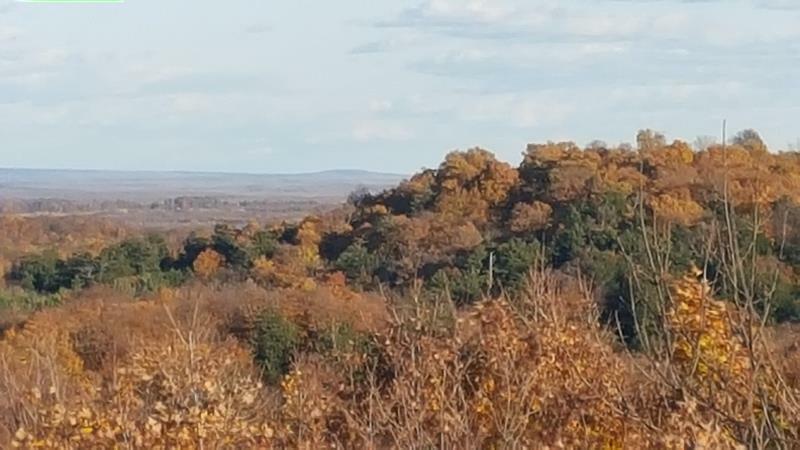 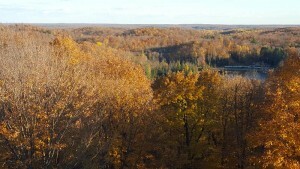 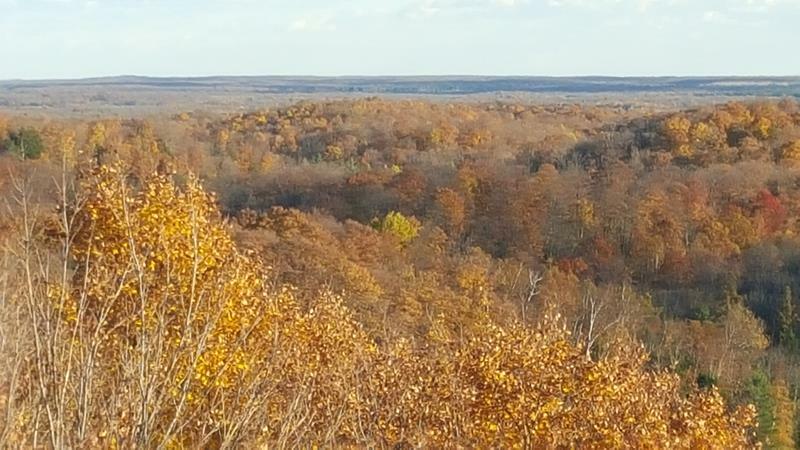 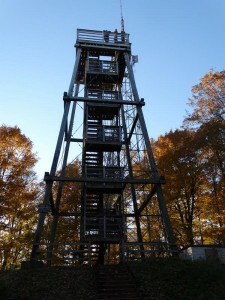 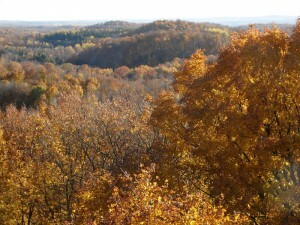 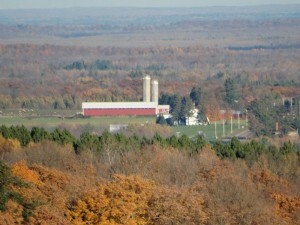 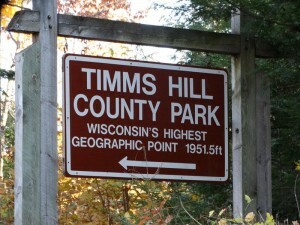 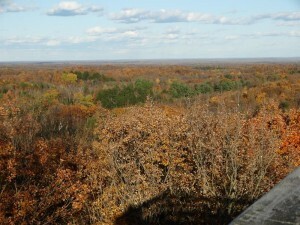 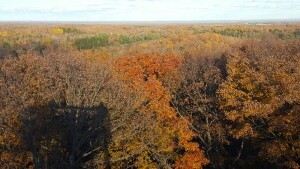 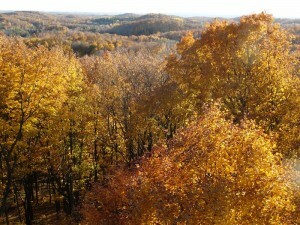 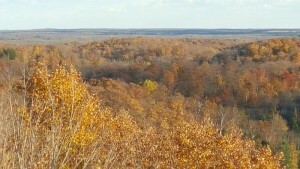 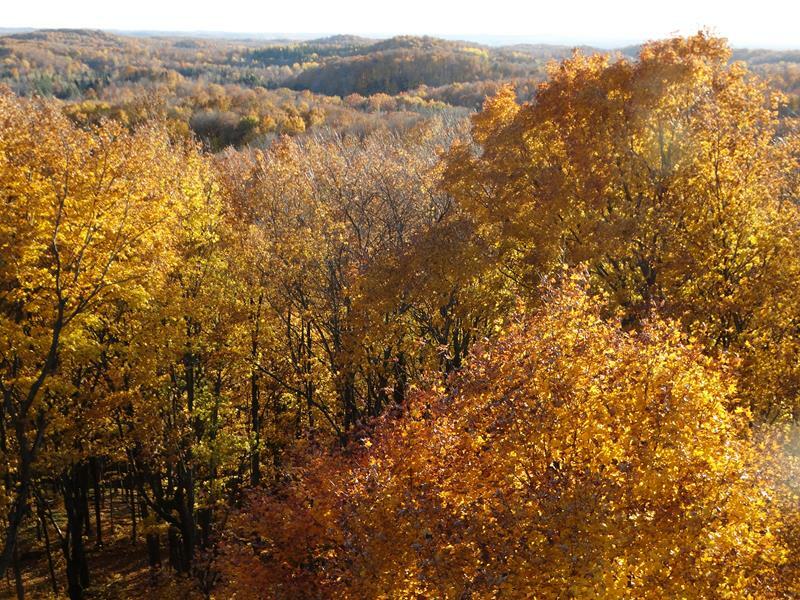 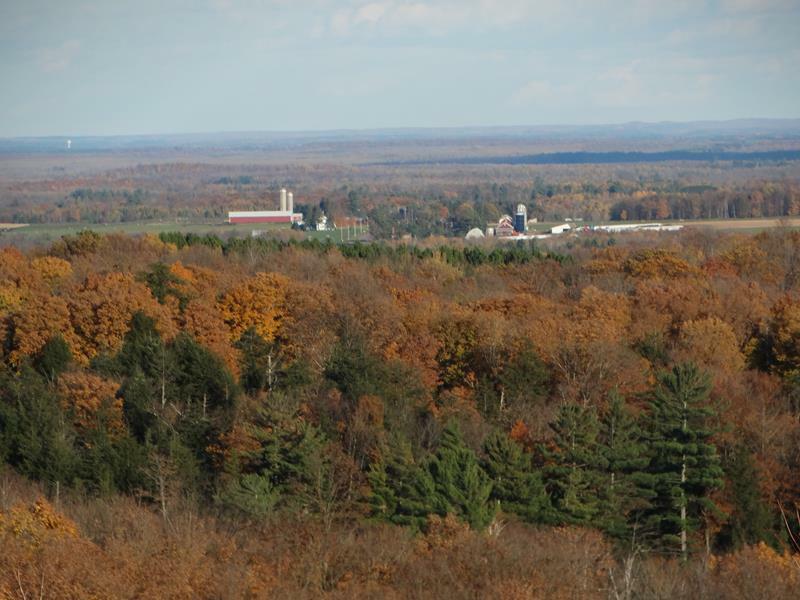 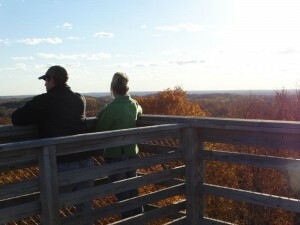 At 1,951.5 feet above sea level, Timms Hill is Wisconsin’s highest natural point. 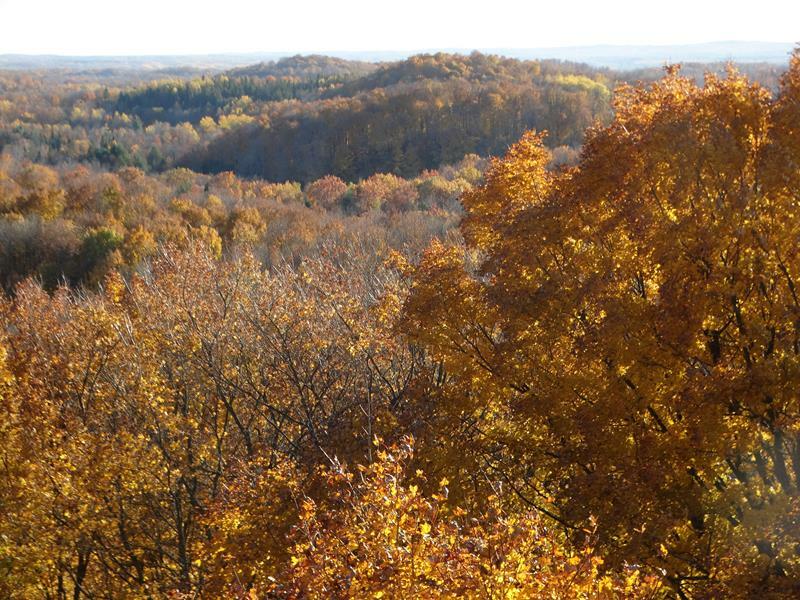 Located in Price County, it’s in the Town of – wait for it – Hill (clever, no??) just south of Highway 86 and also bounded by Highways 13 and 102. 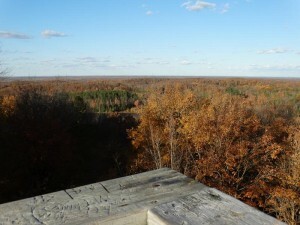 The small town of Ogema is just to the west, and Tomhawk is about 17 miles to the east. 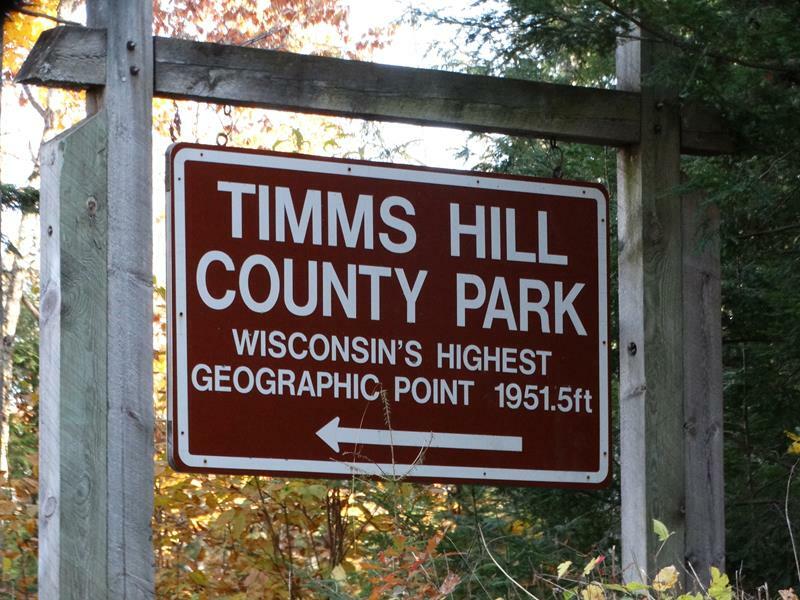 The best access to Timms Hill (by vehicle, at least) is from Highway 86 at County C (from the west) or County RR (from the east.) They take you to Timms Hill County Park, which includes the beautiful Bass Lake and Timms Hill itself, which you access via a gorgeous, narrow, twisty drive leading to a parking area. 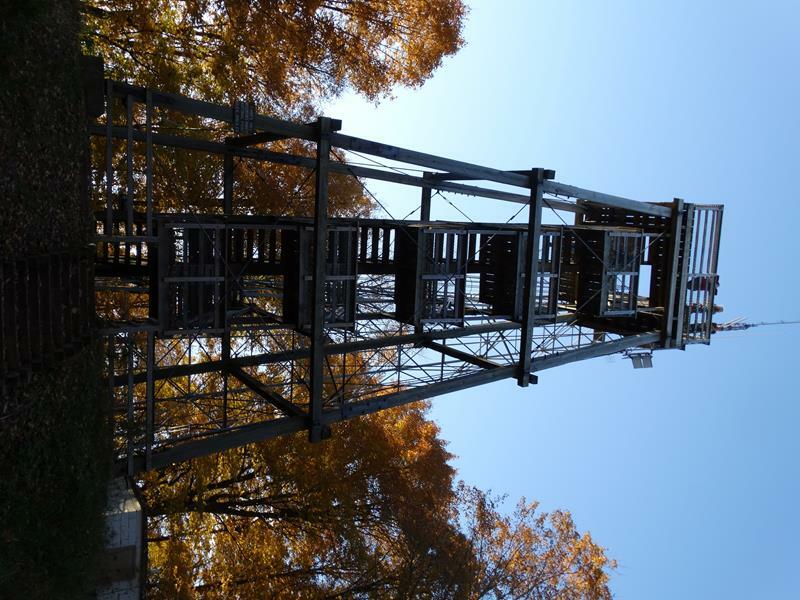 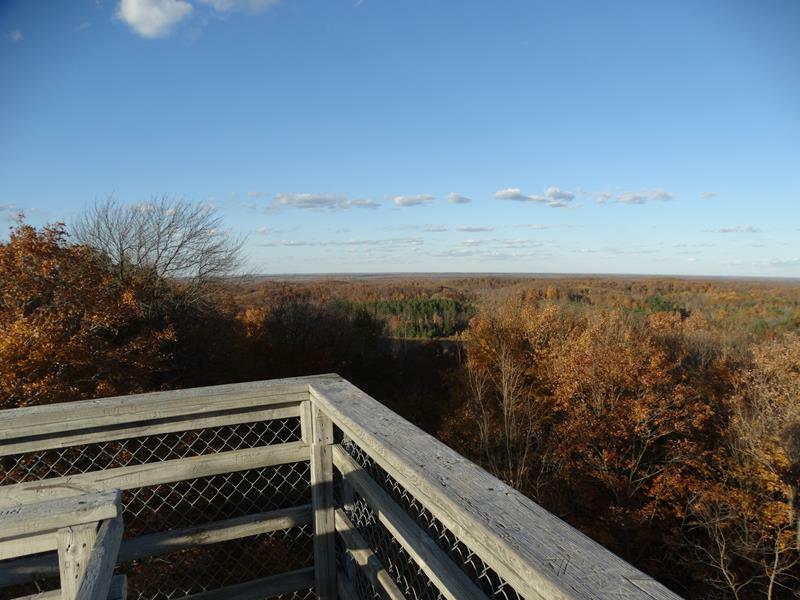 From there, several trails let you wander the area and access the observation tower, which offers a view extending 30 miles or more in every direction. 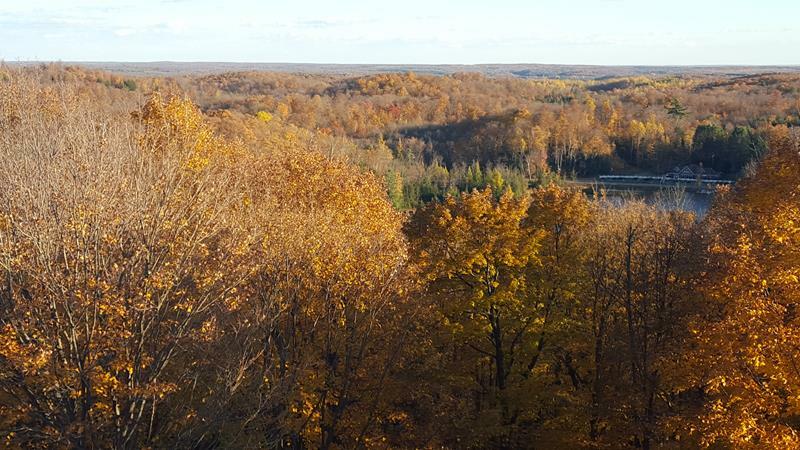 By the time you’ve climbed the tower, you’re at or above 2,000 feet above sea level and looking out across the chunk of Wisconsin.